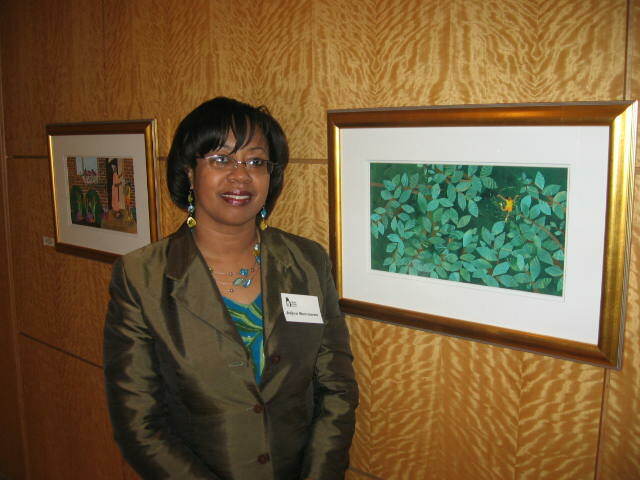 Adjoa at Art Basel, Miami, Florida in front of one of her illustrations. Black Artists of DC exhibited at Good Bread Alley. 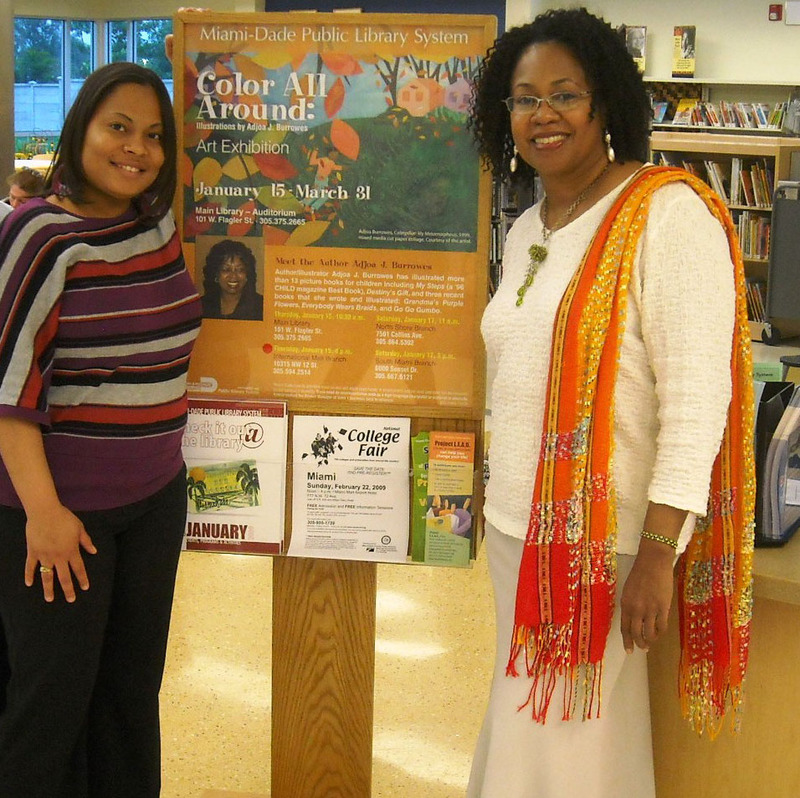 Burrowes with Librarian at a Miami-Dade Public Library branch location as part of her “Color All Around” traveling exhibition.